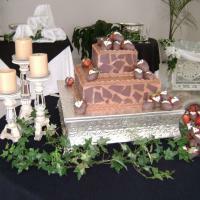 Any good wedding service needs to show examples of their work. 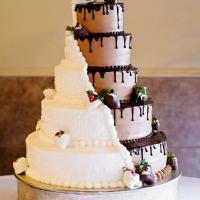 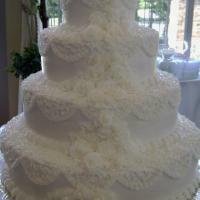 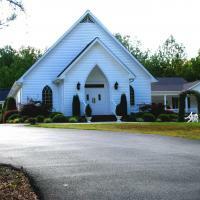 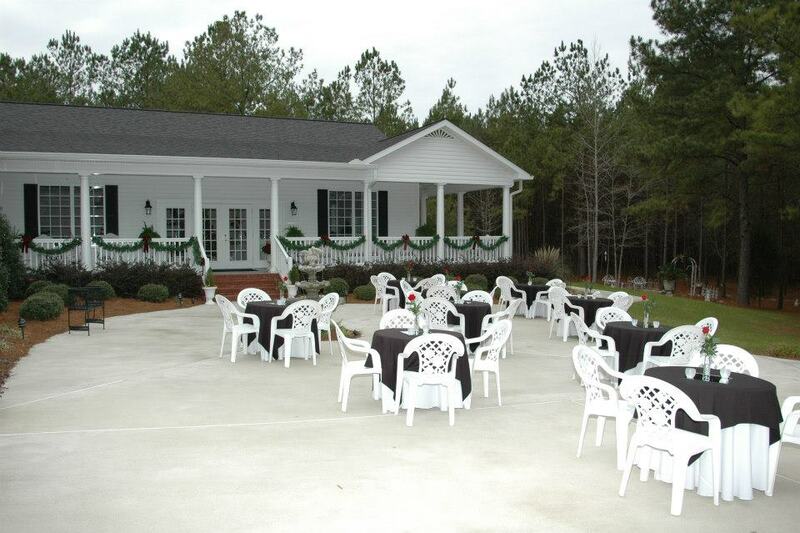 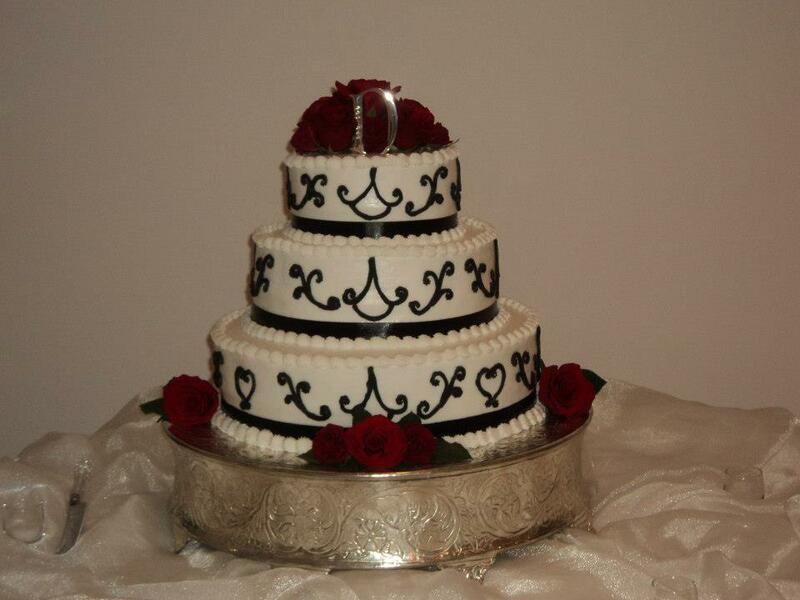 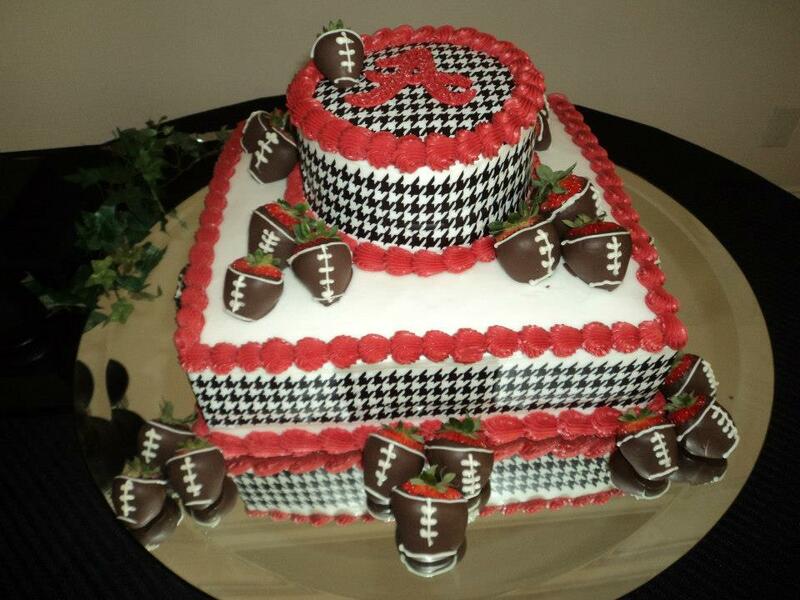 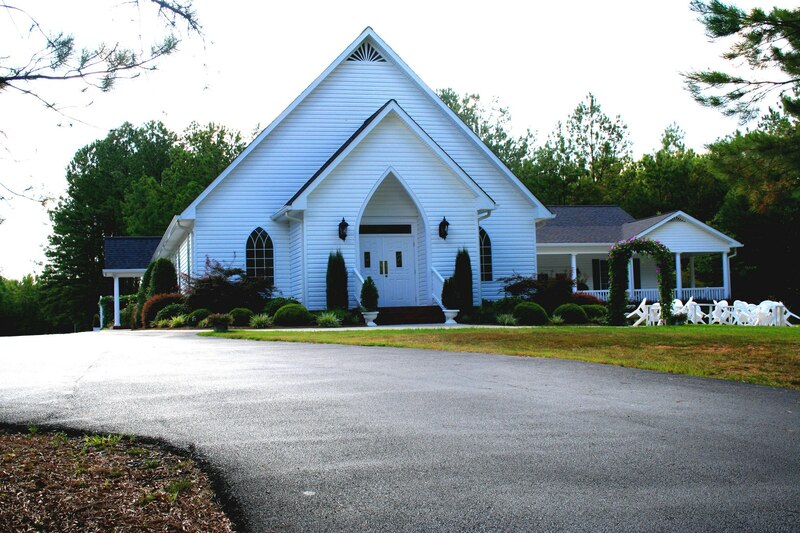 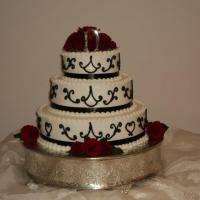 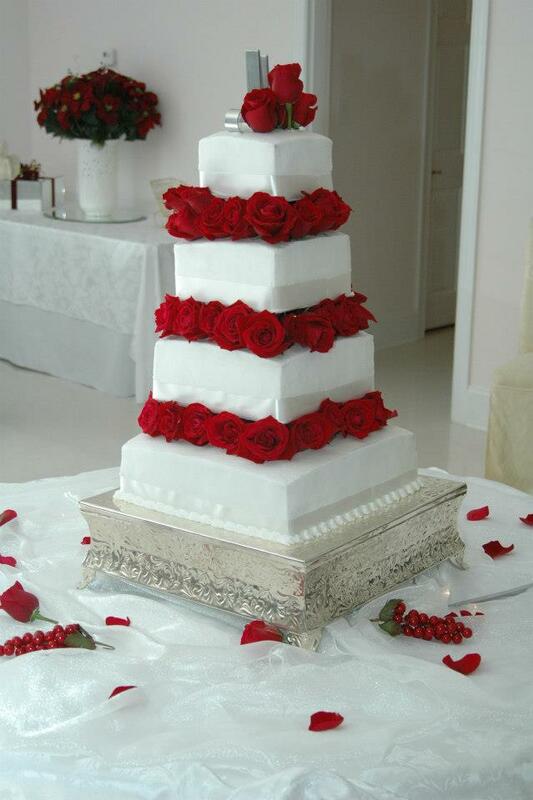 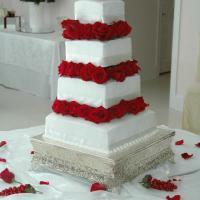 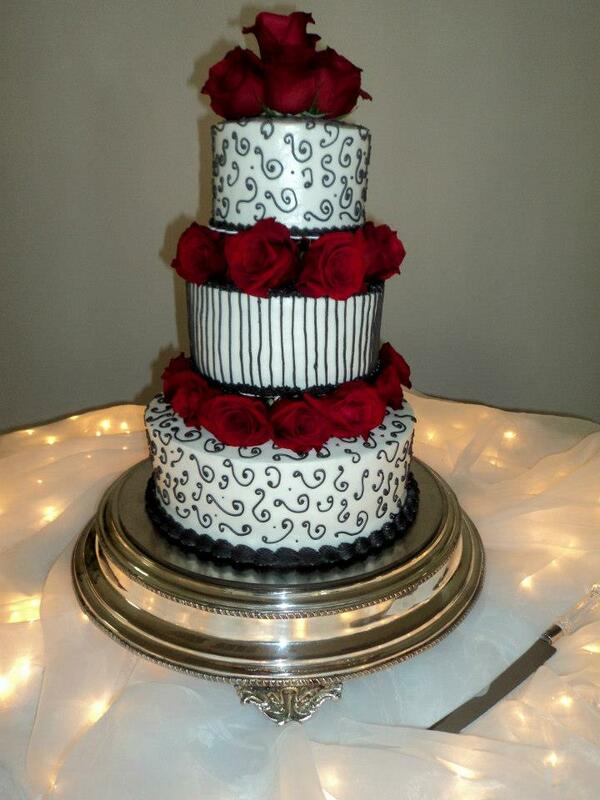 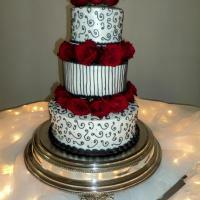 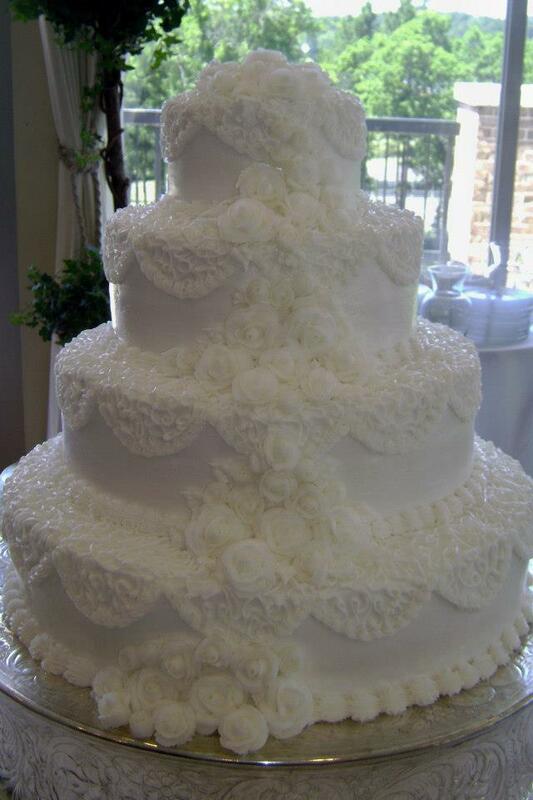 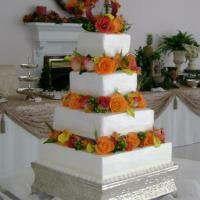 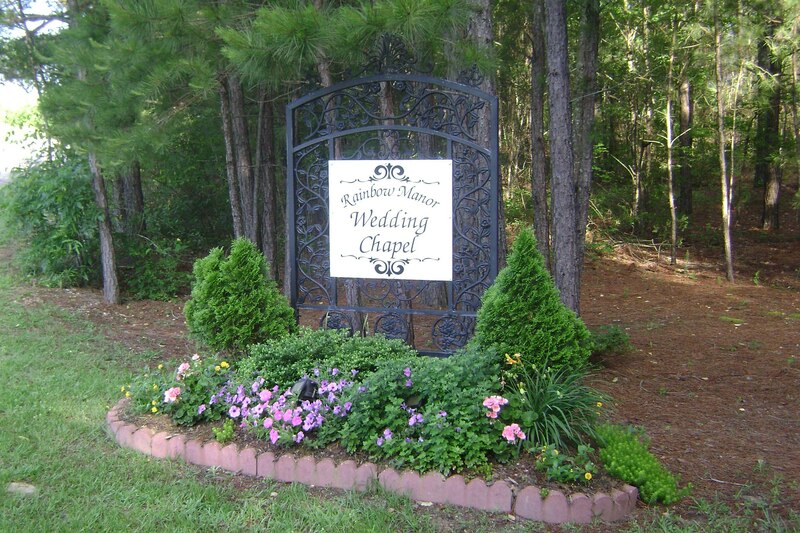 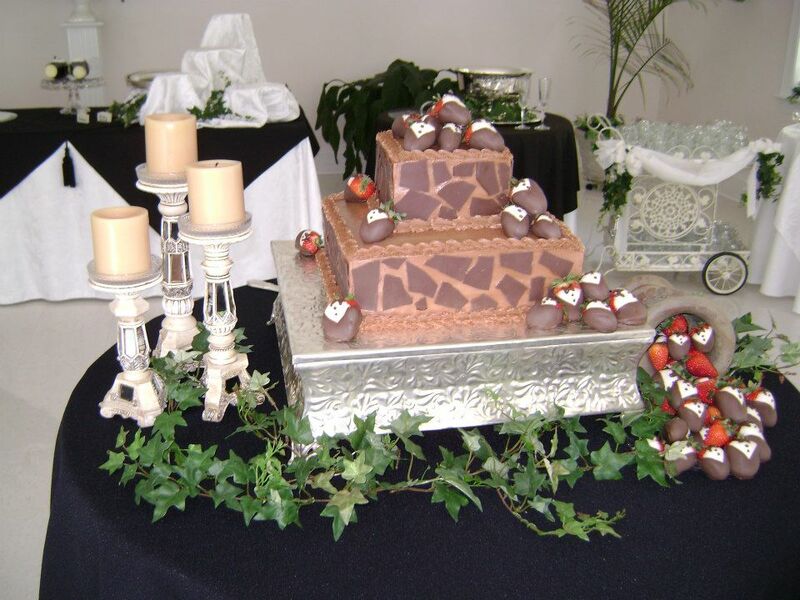 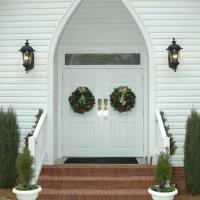 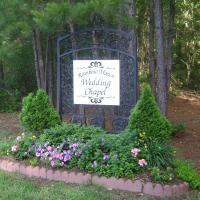 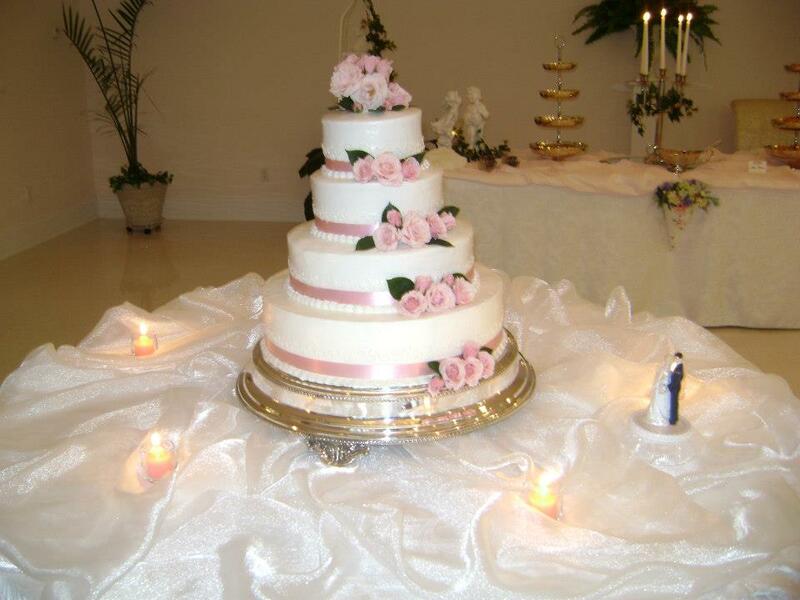 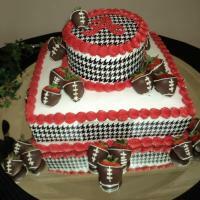 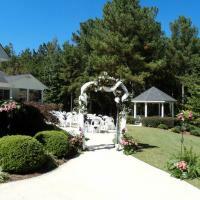 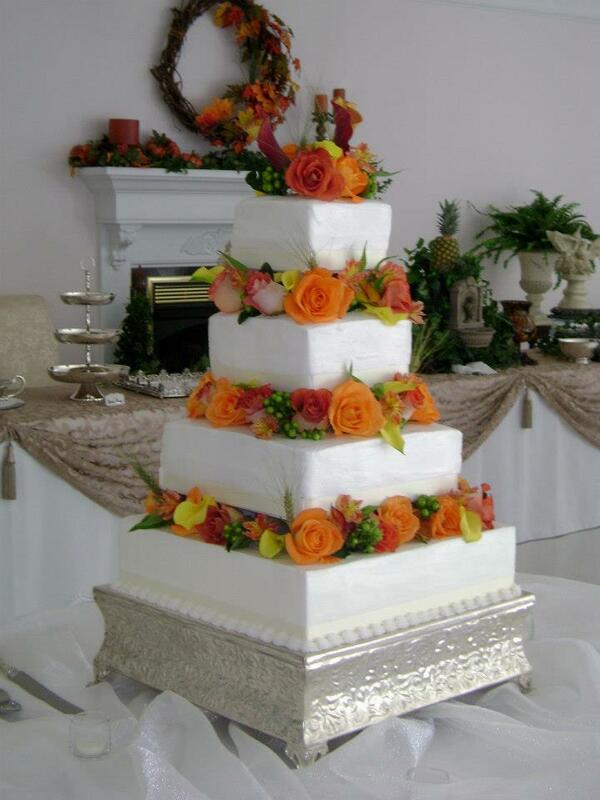 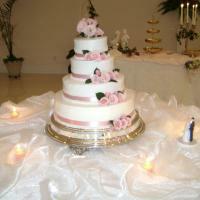 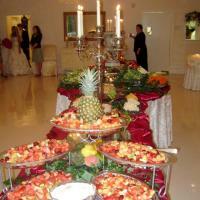 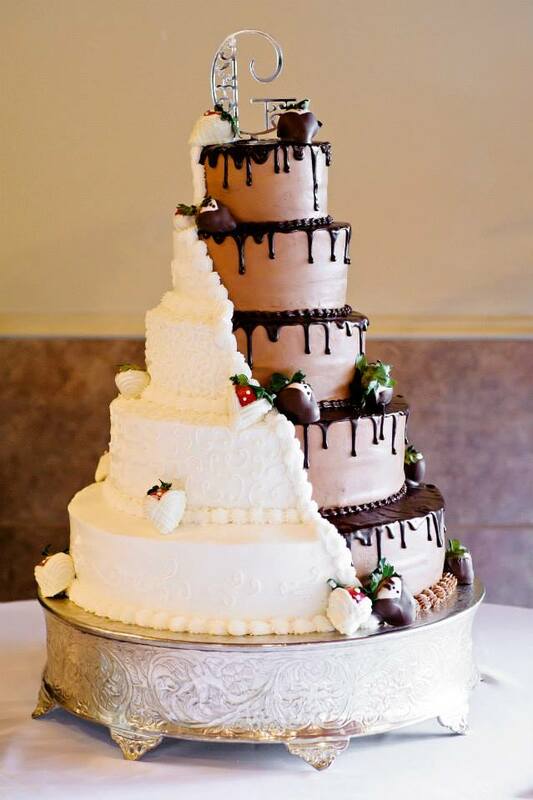 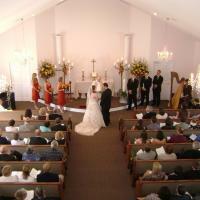 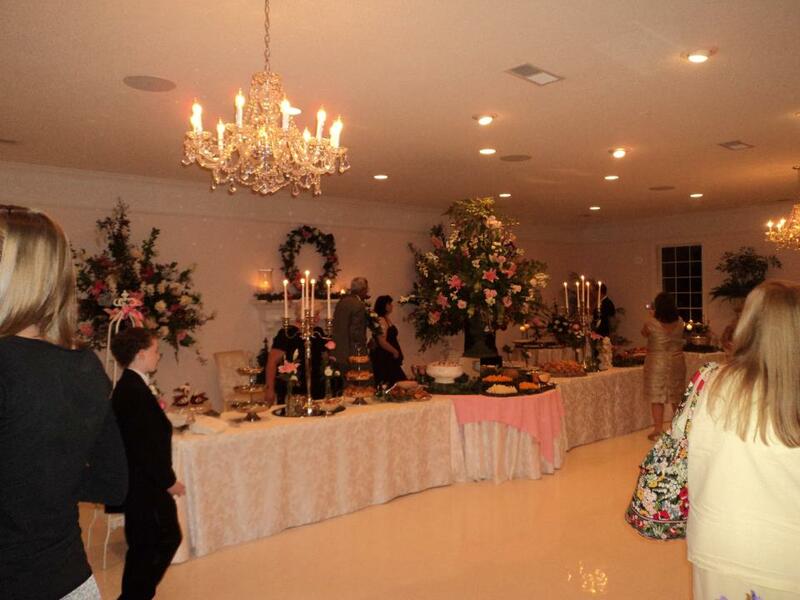 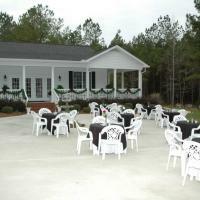 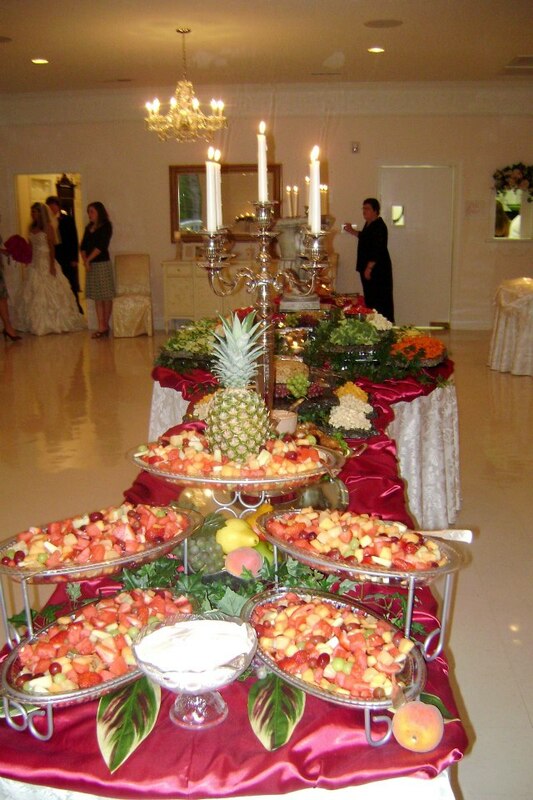 Rainbow Manor Wedding Chapel LLC has many photos of our cakes, catered foods, chapel, and tea room (banquet hall). 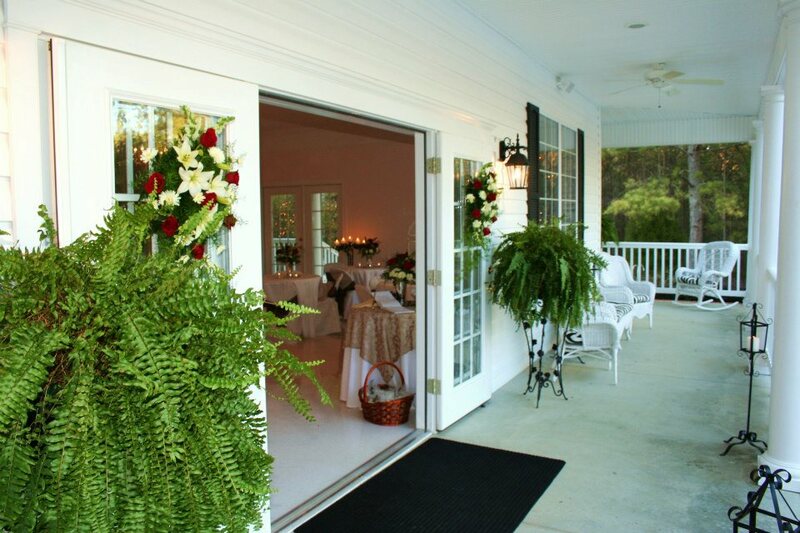 Our reception hall lets in tons of natural light through our double doors and tall windows. 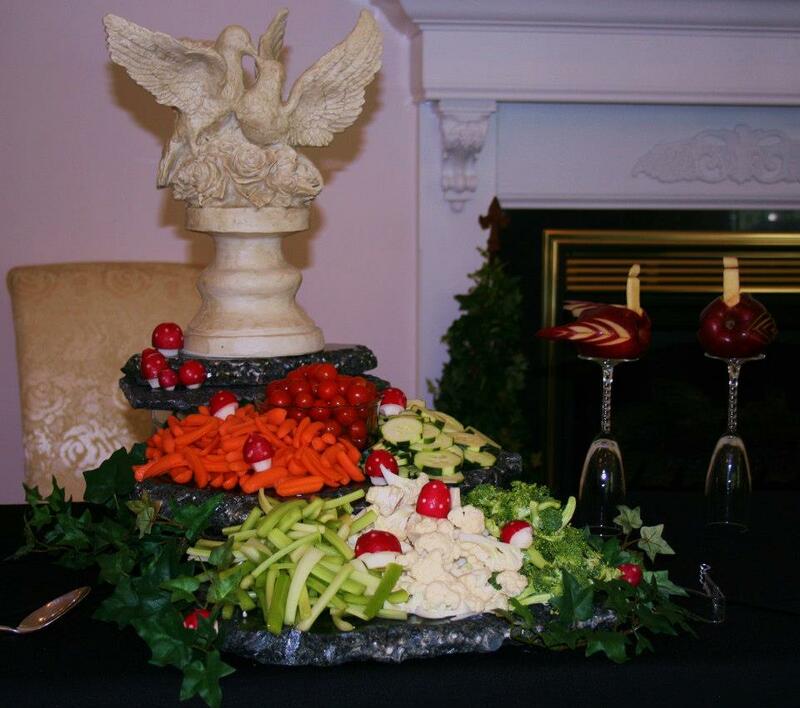 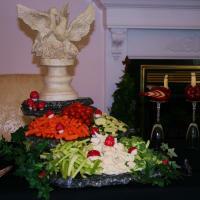 We can offer special touches such as dove and angel statues, fruit sculptures, and candles. 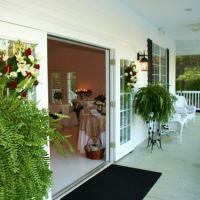 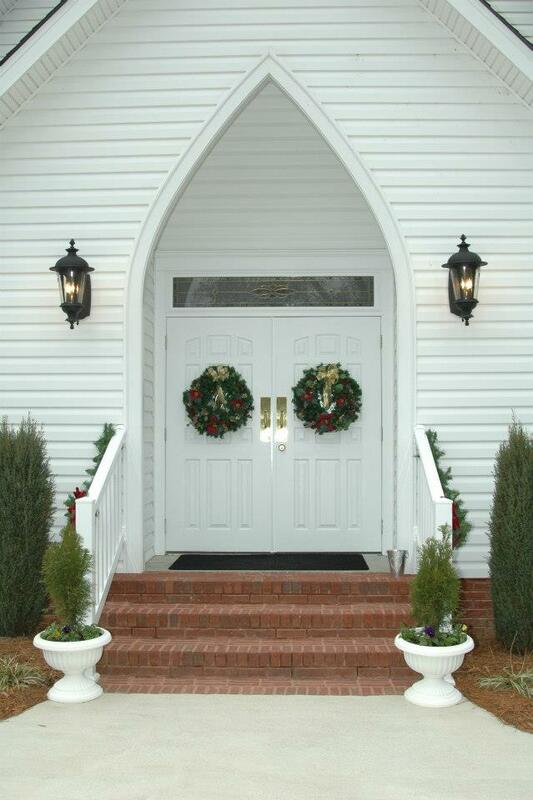 We have an elegant chapel and large, spacious courtyard. 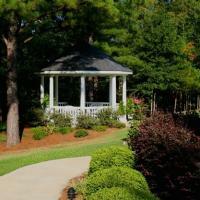 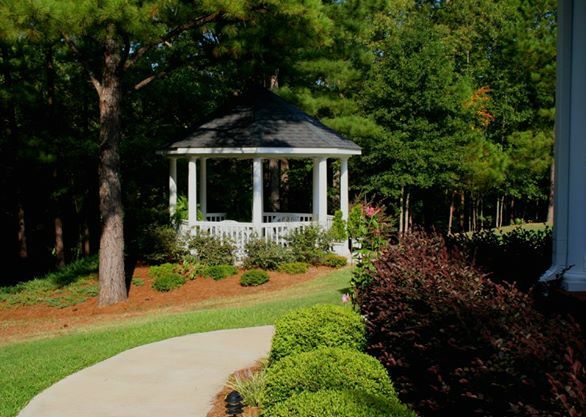 The courtyard has a gazebo and you are welcome to cozy up on the wrap-around porch or park bench for photos and conversation. 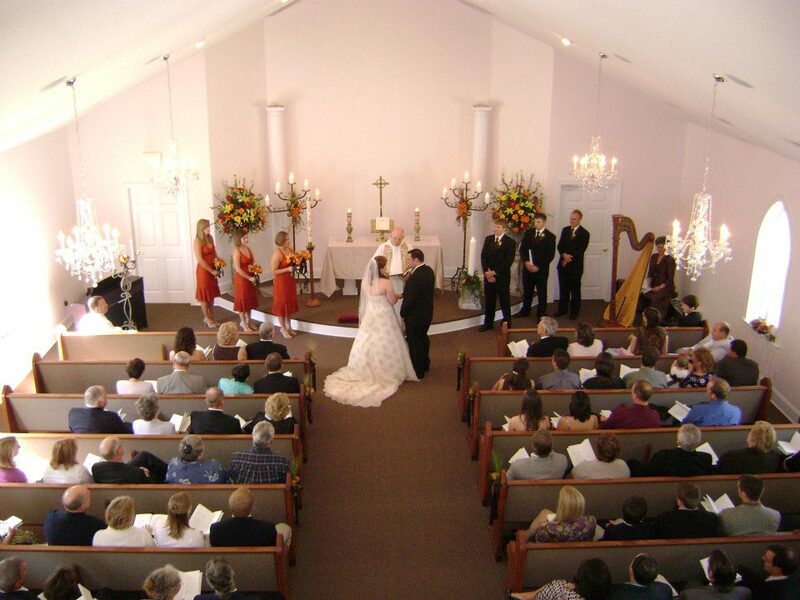 Our sanctuary has crystal chandeliers, oak pews and leaded glass windows. 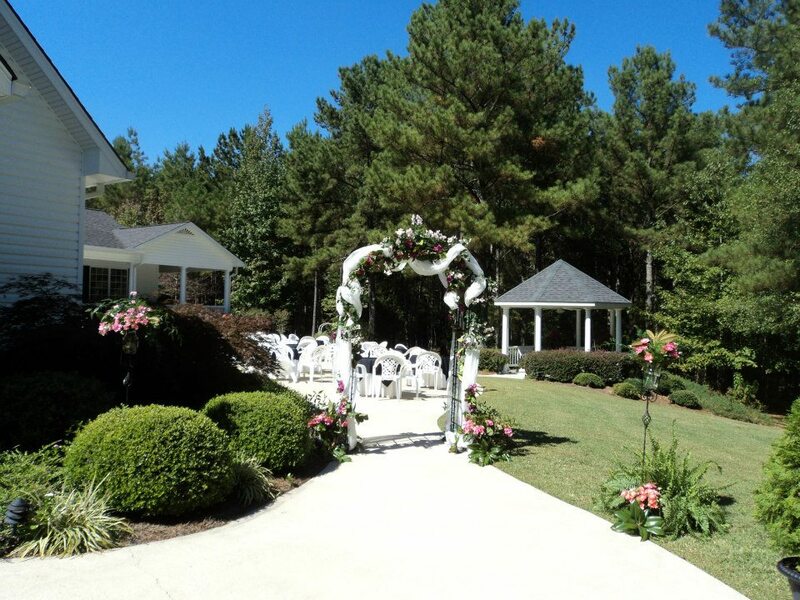 Let us assist you in planning your perfect day. 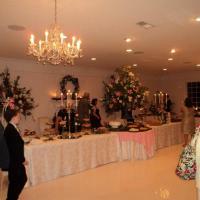 Check out the photos below.